I have the best ideas when I’m nowhere near my desk or a notepad and pen. Ideas always flow when I’m out taking a walk, running errands or sitting on a bus. I tell myself “I’ll remember it”, but it flitters away like a butterfly on a spring afternoon. So many a-ha moments lost because I didn’t have any notetaking tools at my fingertips. No thought is safe. Answers to research questions or ideas on new places to look – all gone because I didn’t write it down. Then I discovered that there was a smartphone Evernote app. Two words – game changer. With a light heart, I bid goodbye to the cumbersome tote bag overflowing with laptop, notepad and pens. Now my trusty iPhone is capturing all my thoughts no matter where I am. It doesn’t matter whether I’m in the supermarket or at home doing the dishes. 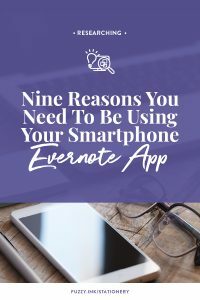 Why the smartphone Evernote app? You’ll no longer need to carry all your notebooks because now you can access everything from your phone. Something that is incredibly handy when you are researching at the library or archives. Because you can’t know what you’ll discover, you don’t know what notes you’ll need to take with you. You can access Evernote via your phone, favourite web browser or on your computer, so it’s available wherever you are. That accessibility makes it easy to keep your notes update even if you are in another location. Evernote is versatile. 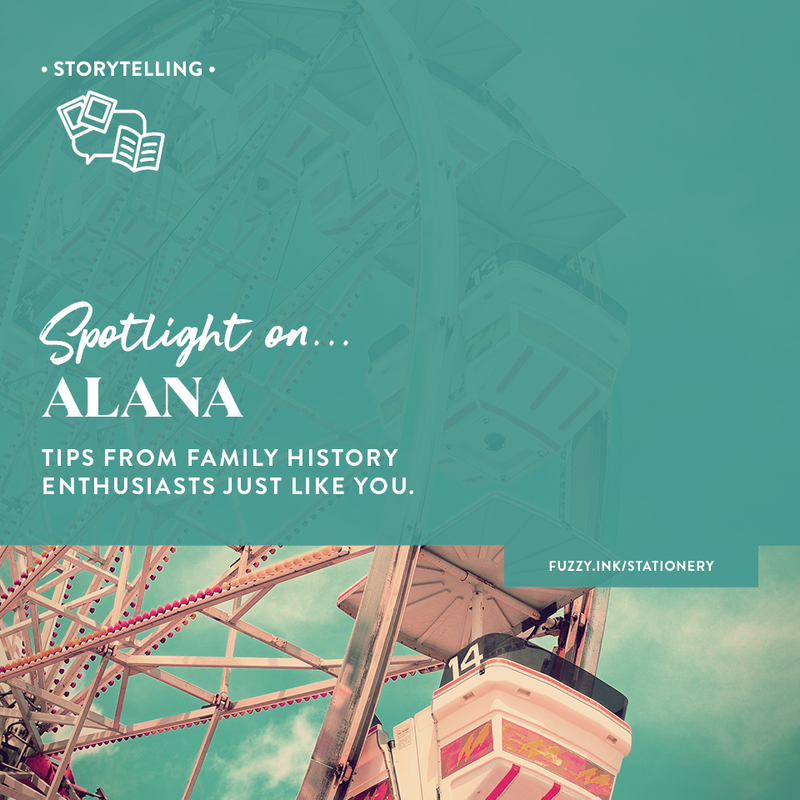 So versatile in fact, you might wonder if it’s a notetaking app or a trusty sidekick for your genealogical adventures. Spoiler alert, it’s both! You can type it, copy/paste it or dictate it using your phone. Then format it however you want, or not. Possibilities include text transformation (font, highlight, bold etc. ), bullet and number lists, or checkboxes. Finally, you can create custom worksheets and checklists to keep yourself on track with your tasks. Type or paste URLs, and voila, you have a live link for later use. Just the thing for citing sources or creating a list of frequently used sites. Or adding links to other notes to make it easy to connect family members in your records. Either take a picture with your phone or drop in one from the photo library. 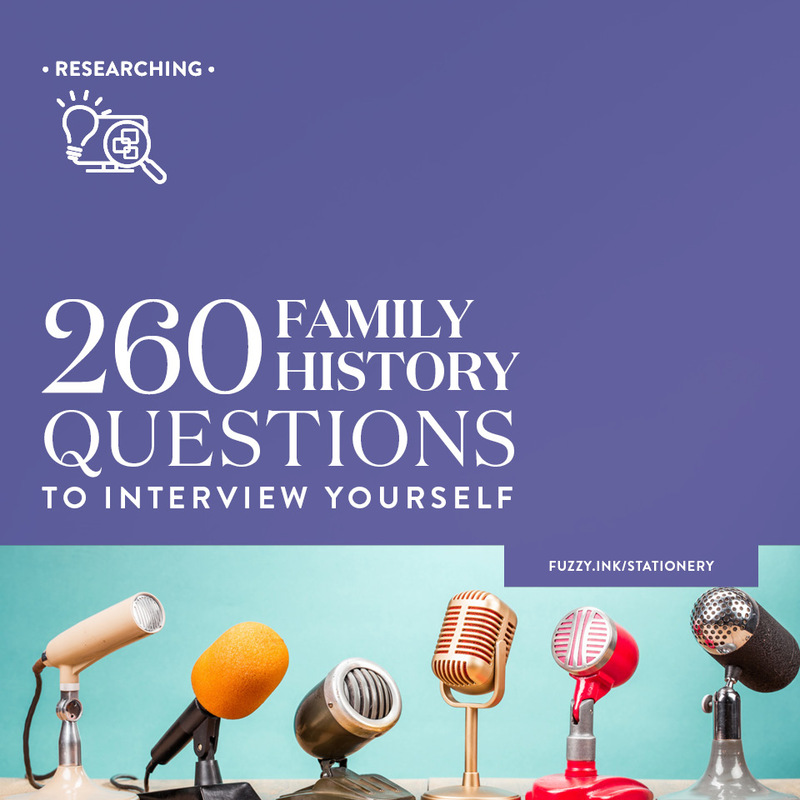 This feature is fantastic for genealogy road trips or when interviewing relatives. You can drop the pics directly into the relevant note which will help you remember everything later. Perfect for leaving yourself notes about pronunciation or inserting snippets from interviews. Try recording audio in pieces so you can add it to specific notes. It will save you time later one when you are looking for one particular comment or fact. Great for adding mind maps or drawings that will help make sense of your discoveries later. I use this for sketching out relationships and making quick maps of the location of landmarks. Add useful documents directly to your notes. Supported file formats include Microsoft Office files, PDFs, JPGs, PNGs. Save pages directly from the browser to your notebook which is handy for verifying facts at a later date. On your desktop computer, you can get more specific about what you are saving. On your phone, it will add a link a page rather than a particular article or image. 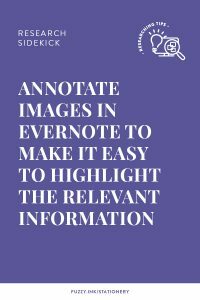 Another feature is the ability to annotate any images which makes it easy to highlight the relevant information. You’ll love this when it comes to picking out people in group shots or highlighting real estate on maps. And bonus, Evernote also checks these annotations when running a search. 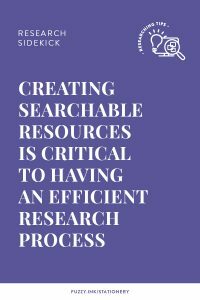 Creating searchable resources is critical to having an efficient research process. After all, you’ve already spent countless hours hunting down those details, retrieving them needs to be easy. So be intentional when it comes to naming conventions in your notes. Always add names and locations in the same format, so all instances appear in the search results. Finally, the notes auto sync. Therefore, the next time you log in to another device your work is up-to-date and waiting for you. Another bonus of using Evernote on your smartphone is the ability to dictate your notes. I don’t type quickly on my iPhone so being able to do voice-to-text is a huge time saver. Create a new note and hit the microphone on the keypad, then start talking. I love this because it makes it possible for me to add notes no matter what else I’m doing. I use my earbuds and talk into the microphone to help reduce noise interference. If you are new to voice-to-text, then try practising it a few times. You’ll want to find the perfect speaking pace to ensure that the majority of the words are accurate. It won’t be 100% spot on, but the accuracy might surprise you. If you are an iPhone owner, then you can also download the free Scannable app. It is a fantastic scanning app that you can connect directly to your Evernote notebooks. Then all you have to do is scan documents and save them directly into your notebooks. Say goodbye to expensive photocopies and scan all the pages that you need instead! Another fantastic feature of this app is it creates searchable text within the scan. It uses optical character recognition (OCR) to recognise the letters and numbers in whatever documents you scan. 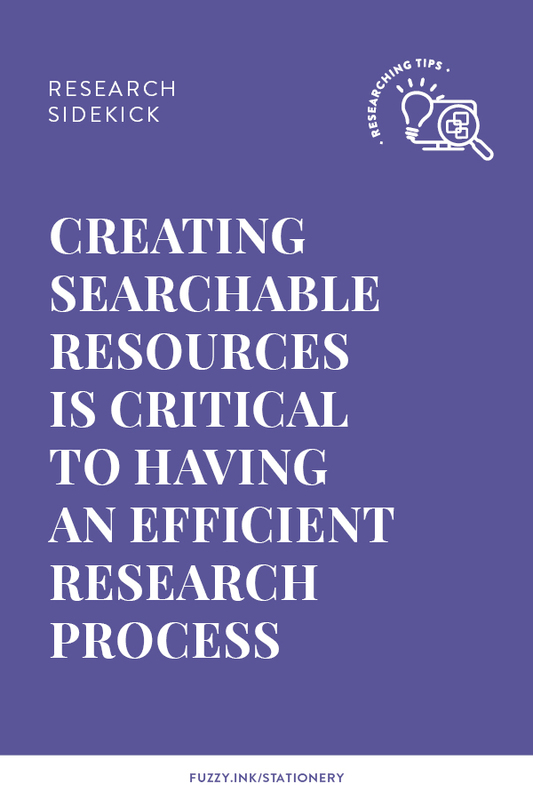 Therefore you are saving yourself time by creating searchable resources as you go. No photocopy can do that! Now you can take your research on the road and capture the facts as you go. Plus no need to worry about lost documents. The smartphone Evernote app uses the same files as your other devices as long as you use the same account. Everything auto syncs and you don’t ever have to think about it. So start to keep more than text in your phone notebook. 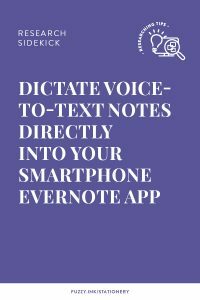 Switch to the smartphone Evernote app to add text, hyperlinks, images, audio, sketches, attachments, web clippings and annotations. Then use the search features to find what you need without having to look at every note and image. 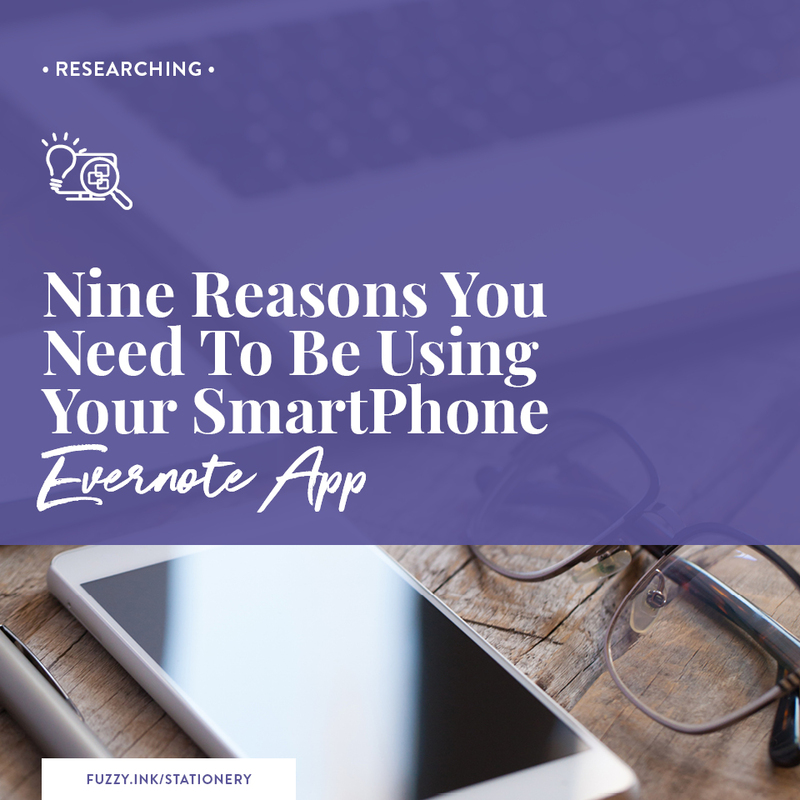 You’ll find it especially useful if you already use Evernote on your laptop or desktop computer. Being able to work on the same files irrespective of your device or location is a huge timesaver. 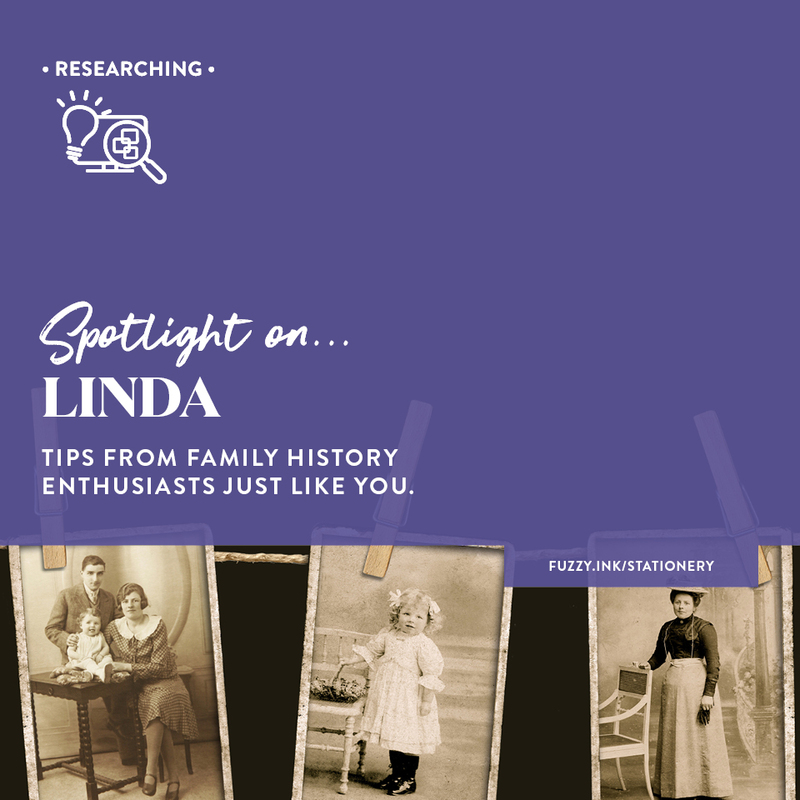 Check out Eight Ways To Begin Your Genealogy Journey to find out more about using Evernote for your research. What is your current process for notetaking when researching away from home?